During the Carnival Season of 1984, engineer-audiophile-entrepreneur Peter Beckles and I decided to invite Jack Renner, then president and chief recording engineer of Telarc International Corporation, to visit Trinidad to make a sample digital recording of steelband music. At that time, the economy of the Republic of Trinidad and Tobago was slipping at an alarming rate. I had to develop a business model that would enable Sanch, my audiophile-recording and equipment-distribution company, to generate foreign income. This was crucial in light of Sanch’s portfolio of ultra-high-end equipment. The consensus was that Renner and Telarc could help Sanch explore new horizons, especially as Telarc was making waves with Dr. Thomas Stockham’s new Soundstream process of converting analog signals to digital. Renner arrived with a simple portable system consisting of a pair of Brüel & Kjær (now Danish Pro Audio) 4004 powered omnidirectional microphones, and a Nakamichi DMP-100 encoder coupled to a slimline Sony SL2000 Betamax tape recorder. Sanch supplied the ancillary equipment: cables, interconnects, line conditioners, and microphone stands. Renner expertly captured the Exodus Steel Orchestra playing an arrangement of the calypsonian Blueboy’s (now Superblue’s) "Lucy in the Savannah." In those days the ESO rehearsed in the courtyard of Scarlet Ibis Hotel, since refurbished and renamed the Emerald Plaza. Playback at home for a Carnival Sunday party was via my massive Bozak speaker system driven by a McIntosh C33 preamp and MC2500 power amplifier. The sound was incredibly realistic: "It seems to re-create the live event," was the opinion of curious passersby who listened attentively. Some thought that Exodus was performing in my backyard. Invitees who "jumped up" to the music were convinced that Sanch was on the threshold of something interesting. We were not yet entirely aware of the intrinsic problems of early digital recording. These were revealed and, largely, elegantly resolved ten painstaking years later, with the release of Prof. Keith O. Johnson’s proprietary HDCD technology. Following Renner’s visit, I approached Telarc with a proposal for a joint venture to produce and internationally market steelband recordings on vinyl. Their counter-offer left Sanch exposed to most of the risk and a marginal profit share. It was then that I decided to begin experimenting with the techniques of minimalist recording, and thereby carved out my own destiny. I approached Nakamichi to become a distributor for their entire line of consumer and professional audio equipment. Early in 1985, I flew to Santa Monica, California, for a rendezvous with Lee Adams, the young international marketing manager of Nakamichi Research Corporation, the family-based high-tech company founded in Tokyo in 1948 by Etsuro Nakamichi. Lee invited me to dinner on the Monday I arrived. He felt we should meet and become acquainted before proceeding to the office for the business meetings and training sessions that would occupy the rest of the week. I exited the elevator dressed to impress in a dark, pin-striped suit, and proceeded to the registration desk, from which Adams had called my room to announce his arrival. He and his girlfriend stood there grinning, casually clad in T-shirts, jeans, and sneakers. I sheepishly retreated to my room for a change of attire. They then took me to a noisy joint, where we consumed buckets of Alaska king crab claws, spending the better part of three hours with a mallet in one hand and a bottle of beer in the other. The rest of the week was crammed with intensive sales and marketing seminars, as well as grueling technical and service-training sessions. I was made familiar with Nakamichi’s entire line of exotic cassette decks, which would become an integral part of our distribution for the next five years. When a tape is recorded in one direction -- from left to right -- and played in the opposite direction -- from right to left -- there is likely to be considerable azimuth error because the tape is unlikely to track along the same path in the two directions. 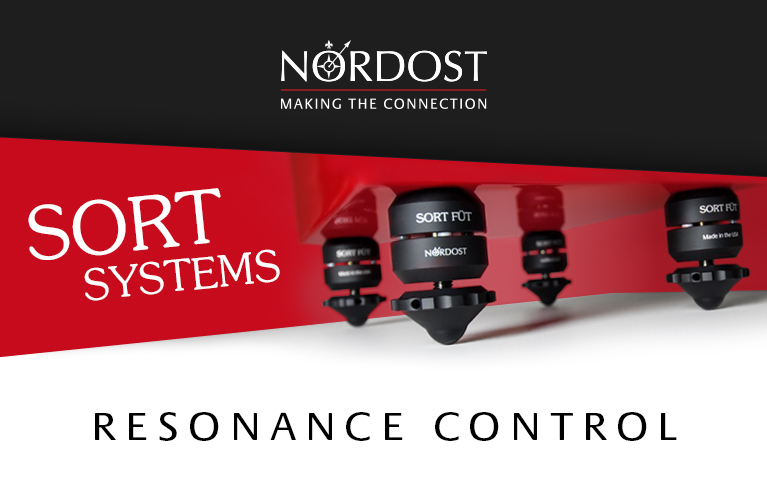 Azimuth error creates a loss of high-frequency response and dull sound. The RX series neatly sidesteps the bidirectional playback problem by being a unidirectional transport with all normal auto-reverse features and a few unusual ones of its own! At the end of each side, the UDAR mechanism automatically disengages the cassette, turns it around, reloads it and resumes the previous mode by itself. The operation is precisely the same as if performed manually on a conventional transport, but the high-speed mechanism performs the turnaround in under two seconds! Since each side of the tape is played in the same direction in which it is recorded, there is no bidirectional azimuth error and performance is precisely the same as on a conventional transport. I was also introduced to the concept of the self-centering turntable, which worked on the assumption that the spindle holes of most LPs are off center. Nakamichi engineers developed an unusual solution in the form of a servomechanism, the Absolute Center Search System. In blind tests, I could tell when the servo was switched on: The soundstage instantly locked into focus, and wow/flutter effects were considerably attenuated. Another day, Doug Sax, the Sheffield Lab recording guru, came by with a number of open-reel master tapes under his arm. Lee Adams explained that Nakamichi had recently embarked on a joint project with a few audiophile labels "to release some of their recordings on Nakamichi real-time cassettes -- primarily for use by Nakamichi’s esteemed customers on Nakamichi cassette decks, of course!" Adams ushered me into a production facility, where Sax spent the entire day transferring his master tapes onto cassettes, using two banks of specially tweaked ZX-9 discrete-head decks fed by a pair of two-track open-reel recorders running at 15ips: one for side A of each cassette, the other for side B. I thought it a fabulous idea, and instantly stored it away in memory. At the end of that hectic week of business, technology, and more business, I bade farewell to the indefatigably super-gregarious Lee Adams and his staff. I returned to Trinidad poorer by $15,000, but rich in ideas of how to use Nakamichi products to enhance the Sanch brand and expand its precarious niche. Sanch invested in equipment similar to Jack Renner’s and, in September 1986, launched The Panyard Series of real-time cassettes with Pan Rising, which featured the Phase 11 Pan Groove Steel Orchestra and their arranger-soloist, Len "Boogsie" Sharpe. Between 1986 and 1995, I engineered and executive-produced more than 100 real-time cassettes, using 20 Nakamichi BX-300 cassette decks fed by two ReVox B77 two-track open-reel machines for replication. The configuration was similar to that used by Doug Sax; the reels were loaded with analog masters of the recordings done with the Nakamichi DMP-100 and operated at 15ips. We used Monster Cable interconnects to cascade the cassette decks, and with monotonous regularity cleaned and demagnetized their heads and transport mechanisms. We released cassettes of normal, chrome, and metal-particle tape, priced accordingly. The Sanch catalog was marketed extensively throughout Trinidad and Tobago, in record and gift shops and via corporate accounts. In the early days, our main distributor was CTC Electronics, a local company that assembled the line of component systems made by Sharp Corporation, of Japan. As time passed, Sanch adjusted to the new economic model imposed by the high cost of the US dollar. Eighteen of the first-generation digital recordings were released on the Delos label, in their Caribbean Carnival series. Following the demise of the cassette market, we sold most of the decks and concentrated on developing markets for audiophile CDs. We founded the Sanch label in 1995. In addition to Telarc, we imported and distributed CDs from other prestigious high-end labels: American Gramophone, AudioQuest, Chesky, Concord Jazz, Decca, Delos, Deutsche Grammophon, Evidence Jazz, First Impression Music, JVC, Mapleshade, Mobile Fidelity Sound Lab, Philips, Proprius, Reference Recordings, and Sheffield Lab. After a few more years in the high-end business, Sanch incorporated into its logo the now-famous tag line "The Supreme Sound." Following TWBAS 2012, I decided to resurrect my old Nakamichi DMP-100 processor and begin the arduous task of remastering and archiving all of my first-generation digital recordings in HDCD. In our vaults are some 500 hours of invaluable unreleased material, including entire ten-hour Panorama rehearsal sessions, which illustrate how this steelband music is still arranged in situ and assimilated by rote. Some of this music could be released commercially in new formats, but I imagine that most of it will be incorporated into the library of PETE the Panstick and stored on a platform for use by fans, students, anthropologists, archivists, and ethnomusicologists. The Sanch archive contains every possible genre of Trinidad and Tobago’s rhythms, including folk, parang, chutney, calypso, soca, rapso, and orisha. Panyard recordings form the most significant portion of the archive. One of the main challenges facing audiophiles is that the mainstream music repertoire doesn’t usually quench their inquisitive palates or fulfill the uncompromising demands of a revealing system. Therefore, and especially with the advent of so many social networks, it should behoove hobbyists to share their music experiences and repertoire for the benefit of others. For instance, until TWBAS 2012, I hadn’t known that Esoteric also has a high-end label that releases remastered classical gems in high-resolution formats. I’d always thought that the company made only hardware. Building awareness and sharing knowledge will create interest in the best recordings. This should eventually lead to the formation of societies dedicated to nurturing and preserving the art and science of listening to good music. To this end, on the Sanch website I recently introduced a Facebook page containing a blog, "The Ace of Spades." There I will recommend music that I consider to be right out of the top drawer, for sound technical and musical reasons. Being now cocksure that I’ve heard the world’s best ported (Rockport Technologies) and acoustic-suspension (Magico) loudspeakers, I wonder if both could be assembled in a suitable listening environment in which their capabilities could be demonstrated and compared. Such a high-profile shoot-out, aggressively promoted, could be guaranteed to arouse curiosity and attract attention. Immediately, the thought of hosting an event at Goodwin’s High End, in Waltham, Massachusetts, just outside Boston, crossed my mind. This dealer is commonly recognized as a premier facility, and is one of the few to stock both Magico and Rockport. What if a system could be so configured that every component in the playback chain -- power conditioning, recordings, front end, cables, and amplification -- was standardized? There could then be a realistic demonstration of how elegant solutions for the myriad problems of high-resolution loudspeakers have evolved, using two entirely different yet technically sound scientific approaches. 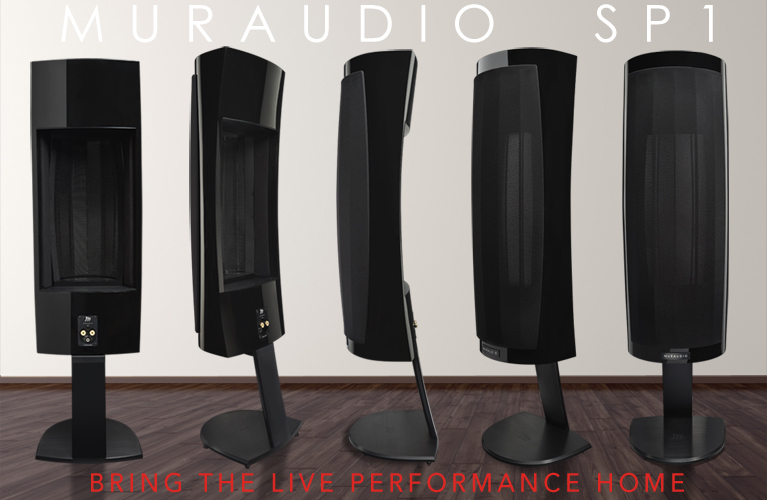 As a derivative of this exercise, audiophile systems could be configured to suit different price points, from entry level to infinity, and displayed in more diverse venues so as to create more demand for high-quality offerings tailored to different budgets. It makes me wonder if the high-end audio industry could ever achieve economies of scale. This is one of the industry’s burning challenges, as we all continue to strive to raise the quality of life by ensuring that prices of goods and services become and remain more affordable to more and more people. Ultimately, we have to generate more interest in our hobby. Nakamichi did it in their heyday. Now it’s up to a new generation to carry it on. Dedicated to my twin daughters Simone and Sarah.